Clivia gardenii "Major Robert Garden Clivia"
Home / Clivia varieties / Clivia gardenii "Major Robert Garden Clivia"
The name ‘gardenii’ is in reference to Major Robert Garden of the 45th Sherwood Foresters Regiment, who sent plants of this species to the Royal Botanic Gardens, Kew. Clivia gardenii are usually found in steeply sloping areas, usually south or south east facing, in evergreen forests under a very tall canopy. They prefer a well drained soil in the wild, but have been recorded in marshy areas as well. They come primarily from KwaZulu- Natal, and have also been found in Swaziland. 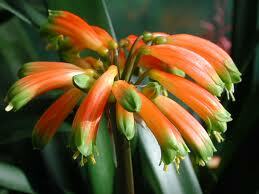 These clivias usually grow from 800mm to 1300mm in height, with bright green leaves that form a tuft. 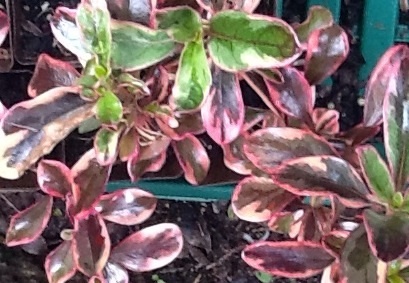 The leaves often differ from other species, as they have a paler section along the lower third of the leaf. The leaves have pointed tips, and are 25mm to 60mm wide, and about 350mm to 900mm long. This plant thrives in cultivation, and is in flower when other clivias are not, making it a valuable addition to the garden. They are long lived and flower reliably every year. Oleander (Nerium) mix of 20 hedge pack, Mixed or same varieties.